Read our helpful guide to second hand BMW 630. AA Cars works closely with thousands of UK used car dealers to bring you one of the largest selections of BMW 630 cars on the market. You can also browse BMW dealers to find a second hand car close to you today. 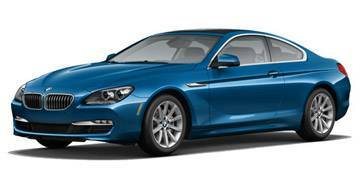 All used BMW 630 on the AA Cars website come with free 12 months breakdown cover. The punchy 3.0 litre petrol engine which powers the 630 is easily one of the best within BMW's arsenal, and mixes refined performance with manageable economy. As a result it is one of the most popular options in the large premium executive's range. As one of the entry-level models to the 6 Series there are plenty of more powerful options, but a 6.5 second 0-60mph time and a limited top speed of 155mph show it to be not very far off from the class leaders. The 6 Series might be big in size (and power), but on the road they all handle with surprising agility, while ride and refinement is of top quality. Inside, equipment levels are good, while an abundance of space makes it a comfortable place to spent a few minutes or a few hours. Efficiency and refinement might be bettered by some of the diesel options, and there are more muscular petrol options on offer, but the 630 is a good compromise between the two, and an excellent used entry into the coveted 6 Series club.